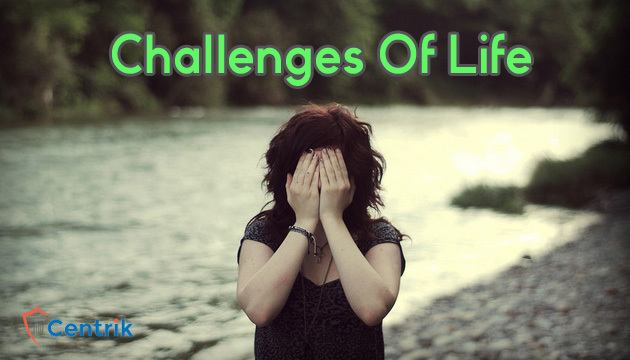 CentrikBlogsBusiness AdvisoryAll For Startup5 Tips How You Can Handle Hinder Life Challenges? Understanding the factors that could contribute to the slowdown of an illustrious career is not only helpful in keeping you humble and on your toes, but will also help you stay well prepared when faced with unforeseen challenges. The following are things you may experience in life which have the potential to hurt your career. Going through a separation can put your whole life on hold — including your career. Going through a divorce, whether “amicably” or the usual way can change everything for you, including your career. The area divorce hits most for people, whether as a business owner or an employee is their productivity. If that’s not bad enough, it’s stated that employee productivity might not rebound until after five years. Going through a separation is a painful phase of life, but with a strong mindset, you can prevent it from hurting your career. Getting involved in an auto accident can put all of one’s life plan in disarray. No one knows how this alters people’s lives more than vehicle accident attorneys. They get to see people, firsthand, at their lowest point as they fight for everything they stand for. In many accident victims cause their own downfall. They misplace the focus of their attention and obsess over things they have little control over at the moment. A healthy person would have a better career success. An advice for all is to focus on victim’s full recovery including psychological and mental recovery before focusing on work-related issues. No one can prepare for the loss of a loved one. It just destabilizes you and depending on the closeness of your relationship with the member, many people could experience depression or trauma that would take its toll on their career. It’s important that you’re easy on yourself and allow yourself to accept that life has to go on. “My advice to those people is to build their own successful career, instead of dwelling on how life would be different without them. This is more like a scourge that most entrepreneurs face in their career. A good example would be a developer who spends so much time with the tiny little details so that their competitors have the chance to fly with their idea while they keep perfecting things. A popular quote from Mark Zuckerberg advises “it’s done is better than it’s perfect.” This is the essence of the lean startup ideology. A lot of millennials often boast of how little of a patience they have. Impatience is a great career killer. Patience, on the other hand, can bring your career lots of good. By giving everything time, you’ll get to discover what’s right for you or not. Someone truly says “Time is like a knife, it slices falsehood from truth”.